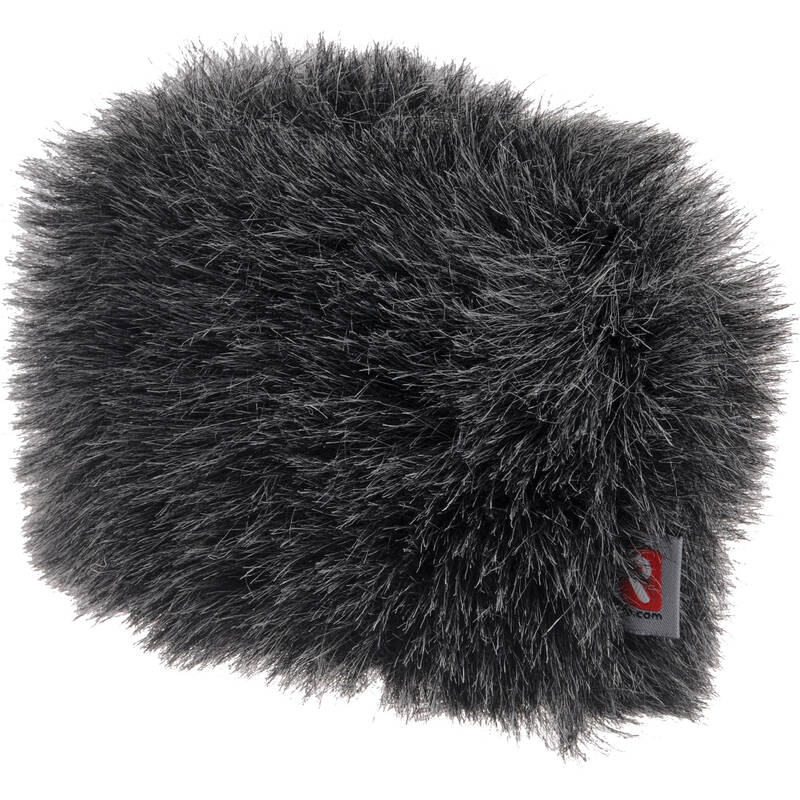 The Mini Windjammer for Zoom H4n from Rycote is a lined slip-on fur cover designed for use with the Zoom H4n portable digital recorder. It has a windshield rating of medium that provides 30 to 40 dB reduction from the effects of high-wind gust noise and vocal plosives. The Mini Windjammer can be used over a foam windscreen, or on its own. Box Dimensions (LxWxH) 4.8 x 4.4 x 1.3"
Mini Windjammer for Zoom H4n is rated 5.0 out of 5 by 2. Rated 5 out of 5 by BTaylor from Solid. Great for the PCM-D50! Given the fact that a windscreen is necessary when recording any sound at all, this one from Rycote fits better than the one supposedly custom made for my recorder. Well made and effective with more space between the mics and the inside end of the felt/fur of the screen itself, and a snug fit. Rated 5 out of 5 by George Reese from Perfect for the Zoom H4N I have had really good experiences with this in reasonably high wind conditions.